One Mom's Moxie: $30 PayPal CASH or $30 to Bath & Body Works - 4 Hour Flash Giveaway! 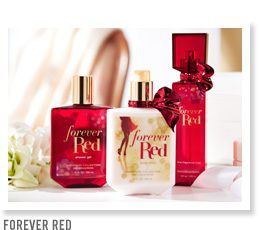 $30 PayPal CASH or $30 to Bath & Body Works - 4 Hour Flash Giveaway! Welcome to the Pay it Forward Monday night 4-Hour Flash Giveaway! Tonight, one lucky winner will get $30 PayPal CASH or $30 to Bath & Body Works! Don't wait to enter, it only lasts for 4 hours! This giveaway ends at midnight! Enter on the easy rafflecopter below to win! My FAVORITE thing to purchase at B&B Works is eucalyptus spearmint lotion & soap from the aromatherapy line. Sooooo soothing!! My favorite purchases at bath and body works is the room sprays. I also love vanilla bean noel scent, I wish they had it year round! I like the aromatherapy soaps. I love all their kitchen gadgets! Body gels and car scents! I have a few favorite lotions and adore the scented hand soaps.